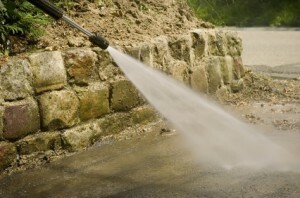 Over time, the exterior surfaces of the buildings will get dirty and need cleaning. One of the best ways to clean a building is with power washing techniques. But if the building is older, the materials may not hold up to the pressure from the water with this type of technique. Other methods include soft washing techniques, where a mild chemical solution is used to loosen debris, stains, and hard water scaling prior to washing at a lower pressure. While the pressure is lower, it is not to be confused with the pressure one can obtain from an ordinary garden hose. If older building materials are exposed to high pressure, they could easily become damaged. 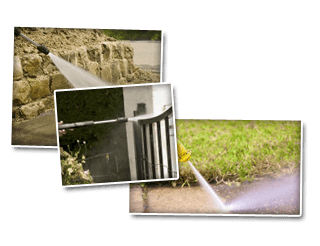 At Cavalier Window Cleaning & Power Washing Inc., our technicians are highly trained to provide services for historical homes and buildings. We know how important it is to not damage a historical structure. It is important to keep gutters clean and free from debris. Rainwater can cause a clogged gutter to spill out sludge and dirty substances that will stain your siding, roofing, or sidewalks beneath. But if the dirt and debris are removed regularly, the water will flow away from the building as it should. We can also install a gutter protection system that will ensure the dirt, leaves, and other debris will not clog up the gutters. Screens and window sill cleaning services will give you a new view you have been missing for some time. After a while, rain water can cause a scaly buildup on the outdoor surfaces of your windows. When this scale is hit by the wind, it becomes abrasive and will eventually scratch the glass. Once the glass is scratched, you will need someone to fix it. If you are looking for a Scottsville window cleaning & Power Washing Company then please call 434-823-1737 or complete our online request form.